Dear grounded expressions of your SELF, the physical structure of form in this quadrant of space is preparing to burst into the higher frequencies of spirit. By ‘spirit’ we mean that which is infused with the Light of Creation. This Light of Creation serves as a higher dimensional palette upon which thought can be projected and enlivened by the ‘colors’ of emotion. The Arcturian’s Galactic service is to be of assistance whenever a transmutational moment comes into the NOW of any quadrant of space. We have many ways in which we facilitate your process of “return to SELF.” The greatest challenge is that un-informed humans may perceive the transmutation into Lightbody as a form of ‘death.’ They do not understand that death is merely a release from the 3D matrix of illusion. In fact, this release from the matrix is actually a bi-location. We remind you that nothing can die within the Multiverse, but it can transmute into a higher or lower frequency of expression. As we have said, the consciousness of humanity is about to transmute into higher frequencies of expression that resonate beyond the illusion of time. With the completion of this transmutation, you will experience myriad realities within the ONE of the NOW. 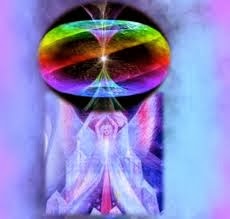 You will then realize that you can maintain a conscious awareness of more than one of your higher dimensional realities while you still maintain and/or wear an Earth vessel. Unfortunately, many humans are still so attached to the physical reality they have known as real for myriad incarnations that they resist the process of transmutation. 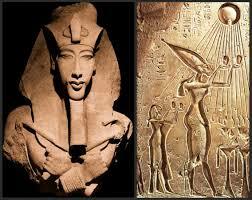 The power of this resistance creates a waver in the energy field of transmutation. This waver stalls the transmutational event in a manner that frozen moments of lower frequency reality are created. Those who are afraid to allow a smooth transmutation of their higher expressions of reality will become trapped in those frozen moments of 3D time. Thus their perceptions will remain limited to the third dimension, and they we not be able to experience the impending transmutation into the higher frequency realities. Because they have chosen the path of fear rather than the path of Unconditional Love, they will cling onto the “known” and fear that their reality is being deconstructed. Conversely, those who have chosen the path of Unconditional Love have released the shackles of time and eagerly accept change. Hence, the path that was perceived as destruction through the eyes of fear is perceived through the eyes of Love as constructing a pathway into higher dimensions of reality. Thus, while the inhabitants of these frozen moments cling to their physical version of life and believe that all around them is being lost, the transmuting ones are creating a perceptual pathway to fifth-dimensional New Earth. The inhabitants of the frozen moments may even believe that they are the final ones to survive what they perceive as destruction. Those who are resistant to change will no longer be on the third dimensional matrix, as that matrix will no longer exist. 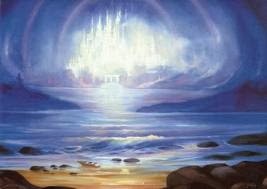 However, they will not be able to believe, conceive or perceive the fifth dimensional reality. Thus, they will bravely settle in to their lower fourth dimensional version of reality. Due to the belief patterns of the inhabitants, this lower dimensional reality will be filled with fear. However, it will allow those who have lived a life of selfishness, power-over-others, anger and/or cruelty the need to work with others in order to survive. In this manner, the frightened victims and victimizers of the frozen moments both have a reason to care for others, find their power within, and allow the sadness and fear, which was the basis of their lives, to be released. We perceive these ‘islands of resistance to transmutation’ as hospitals in which those who cannot accept change can experience more of the illusion of time to prepare for the transmutation of darkness and fear into Light and Love. Most of these Lost Ones fear change because of their own unresolved trauma. As they resolve their inner trauma by assisting others, their fear can be healed and released. Fortunately, there are many who are more than ready to release their fear and return to their innate Unconditional Love. This release of fear, resolved or not, will lighten their consciousness more than they can imagine. Those who are still bound to the third-dimensional paradigm believe that it takes a long “time” to heal trauma. However, since time no longer exists in the fifth-dimensional matrix, the release of trauma is instant. On the other hand, while the Lost Ones’ consciousness is attached to the time-bound, 3D matrix, even transmutation takes time. Time was put into lower matrix realities so that the inhabitants could slow down their process of creation to understand exactly how thoughts and emotions combine into ONE thought-form to create portals. These portals are two-way in that they allow their creators to enter and/or leave any given reality. Many of our volunteers for Ascension are taking time to heal their lower frequency experiences within ‘past, present or future’ lives. In this manner they can learn to assist those who are so lost in darkness that they cannot perceive the Light. When they move through time to heal what they perceive as other lives, they will begin to understand that time is a third-dimensional illusion. The breaking down of the NOW into time is similar to one of your motion pictures. There are many individual pictures strung together on a long film to which the light of the pictures can adhere. When this film travels very fast, the pictures blur into one motion picture. Of course, in your present reality, film is no longer needed and many motion pictures stream through a ‘cloud’ to invisibly move from one computerized device to another. Those trapped in time are similar to the motion pictures in that something is in-between every picture. This something in-between causes time. 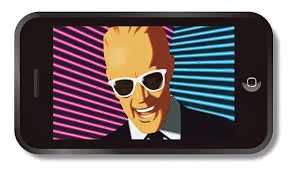 When a ‘movie’ is streaming through a ‘cloud,’ which is of a frequency that is not perceptible to third dimensional perception, the physical devices can easily capture that frequency of Light and display the moving picture on the view screen of that device. In the same manner, your consciousness can capture the ‘motion pictures’ of fifth dimensional reality, but it can only do so if your perception is calibrated to the frequency that can capture those light images. Of course, if you believe that perceiving the fifth dimension is not possible, then it will become impossible. Fortunately, once you believe that you can expand your consciousness into the higher frequency of perceptions, you can calibrate your mind to the fifth-dimensional ‘cloud.’ Once your consciousness is calibrated to the frequency of the cloud that is transferring the moving pictures of fifth dimensional Earth, you will begin to project this ‘movie’ onto your inner mind screen. 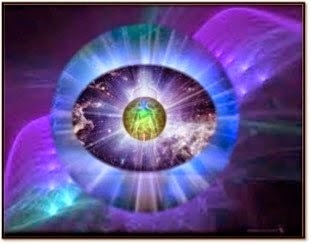 If you believe that you can calibrate your consciousness to receive images from the fifth dimension, you will move towards that possible reality. In the same manner, if you believe that a fearful event will occur, your consciousness will seek out that possible reality. 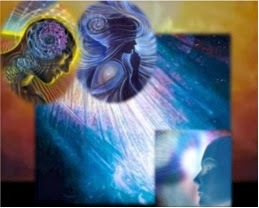 What you must remember now in preparation for fifth-dimensional New Earth is that your every thought and emotion creates the picture/reality that you paint on your reality screen. In this manner, you create that which you perceive and perceive what you have created. In fact, in the higher dimensional realities, creation and perception are the same concept. You create your reality by the perceptions to which you choose to attend, and you perceive the reality that you created with your thoughts and emotions. Even while holding an Earth vessel, Unconditional Love expands your consciousness enough to allow you to capture higher dimensional ‘motion pictures’. Unconditional Love also has the innate power to realign what is out of alignment with your highest intention. Once aligned with your highest intentions you are a clear corridor through which higher frequency information can flow. Unconditional Love, which is the healing force of the Multiverse, reveals that most dis-ease is due to misalignment with the higher dimensions of reality. Fortunately, even that which is calibrated to a lower dimension can be pulled into alignment with the ONE via the power of Unconditional Love. When you are in alignment with the ONE, there is no “time,” as you live in the NOW. Within the NOW, you are infinitely connected with all the expressions of your Multidimensional SELF. Hence, your Multidimensional SELF can choose to visit the lower frequencies, much as one would visit a University of learning. What YOU wanted to learn in this “University of Earth” was how to ascend a planet without destruction. 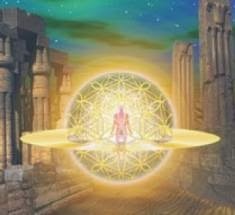 Unfortunately, many of you fell out of alignment with the NOW of your SELF and became lost within the third dimensional paradigm of time and separation. That is when you began to forget that you are a Being of Light that cannot be harmed in any manner by the illusions of a lower frequency reality. The third dimension is similar to an old-fashioned movie theater where light from the back of the theater carried the moving pictures to be displayed on the screen. If you were to stand between that screen and the projected light, the moving picture would project onto you. These projections of light could not hurt you unless you had the fearful thought that the moving pictures could harm you. Since what you think and feel is projected onto the matrix of the 3D hologram, your concerned thoughts and fearful emotions could actually create a version of reality in which you do suffer harm. In fact, it was in this manner that the Lightbodies of our Away Team became so absorbed with the lower dimensional pictures that they believed they were the frequency of the screen rather than the frequency of the projected light that was projected onto the screen. Then, they began to believe that they WERE the character in the movie rather than the light that created the character. Since your belief greatly influences your perceptions, it is vital that you consciously chose and adhere to positive, loving beliefs. Your belief greatly influences your thoughts and emotions. Your thoughts and emotions create the thought-forms that are the “envelopes” for your daily experiences. Your daily experiences set your state of consciousness. Which become the thought-forms that continue to create your reality. 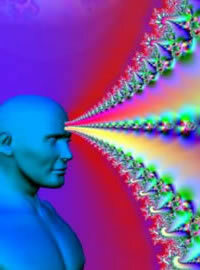 Higher states of consciousness create higher dimensional thought-forms. And lower states of consciousness create lower dimensional thought-forms. In other words, what you think about, you bring about. And, the emotions that you allow to live within you greatly influence your state of consciousness. Then, your state of consciousness sets your perceptions, AND the reality you perceive is the reality you live.